World Usability Day Ignite! 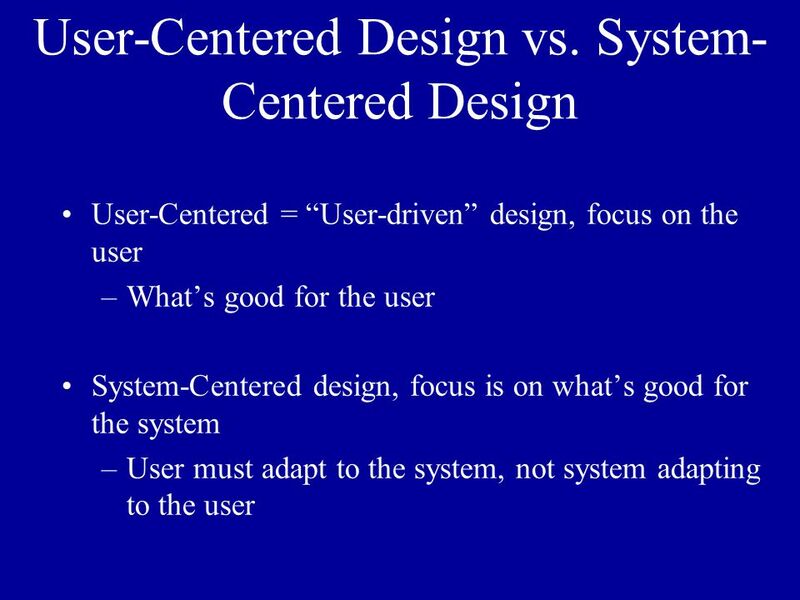 Session Fixing The Trouble with Computers: User Centered Design, Development, and Deployment Jay Edwin Gillette Center for. 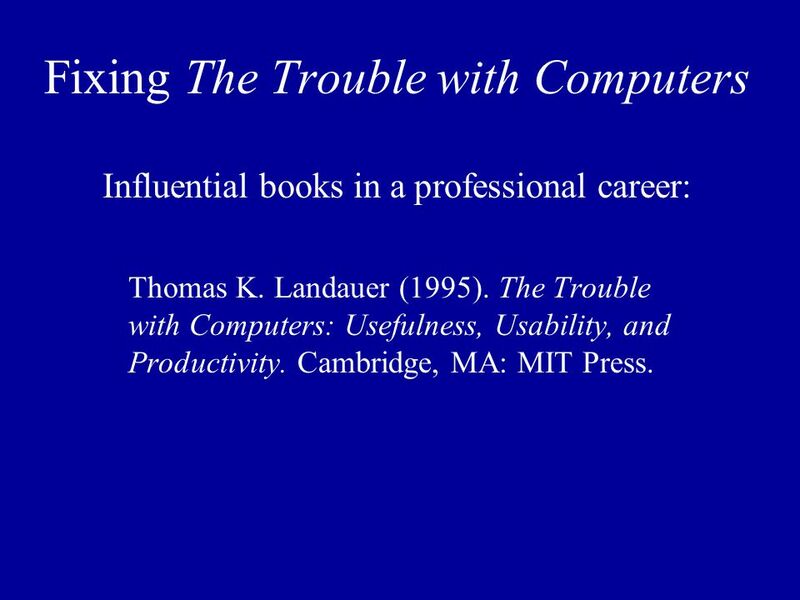 2 Fixing The Trouble with Computers Influential books in a professional career: Thomas K. Landauer (1995). 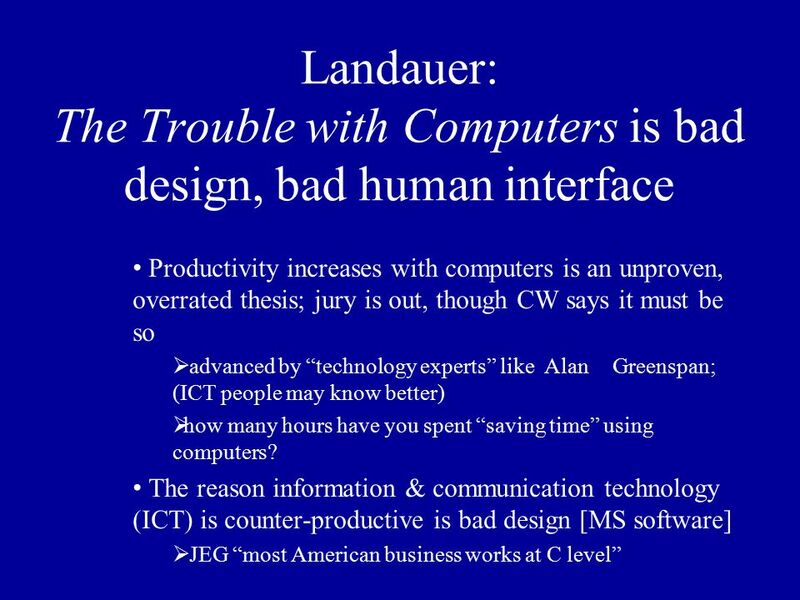 The Trouble with Computers: Usefulness, Usability, and Productivity. Cambridge, MA: MIT Press. 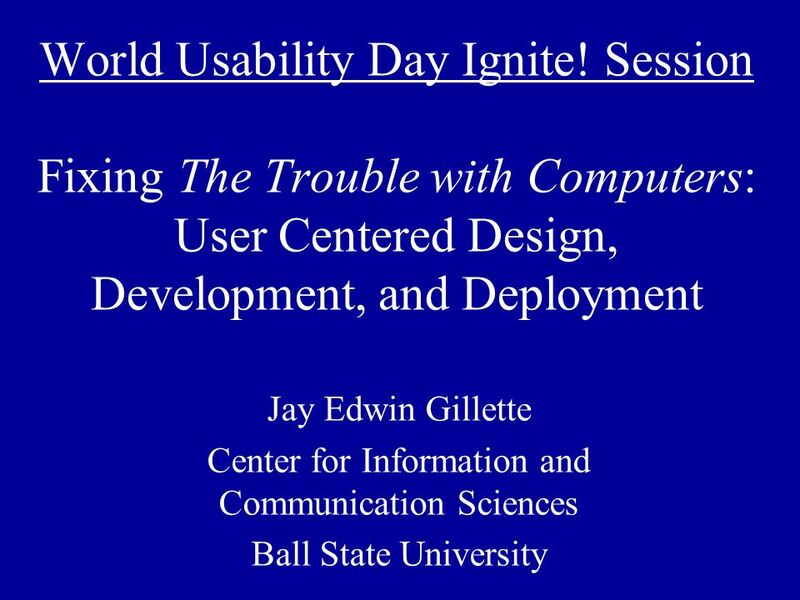 Download ppt "World Usability Day Ignite! 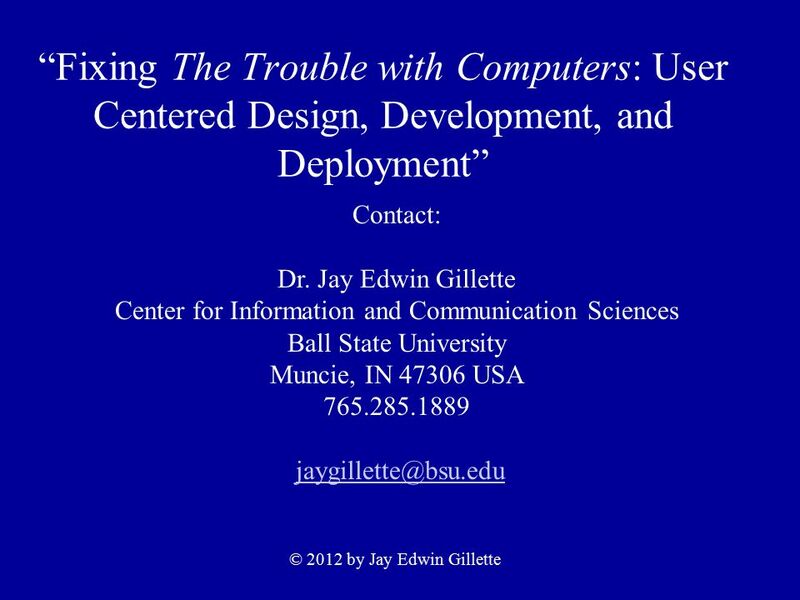 Session Fixing The Trouble with Computers: User Centered Design, Development, and Deployment Jay Edwin Gillette Center for." 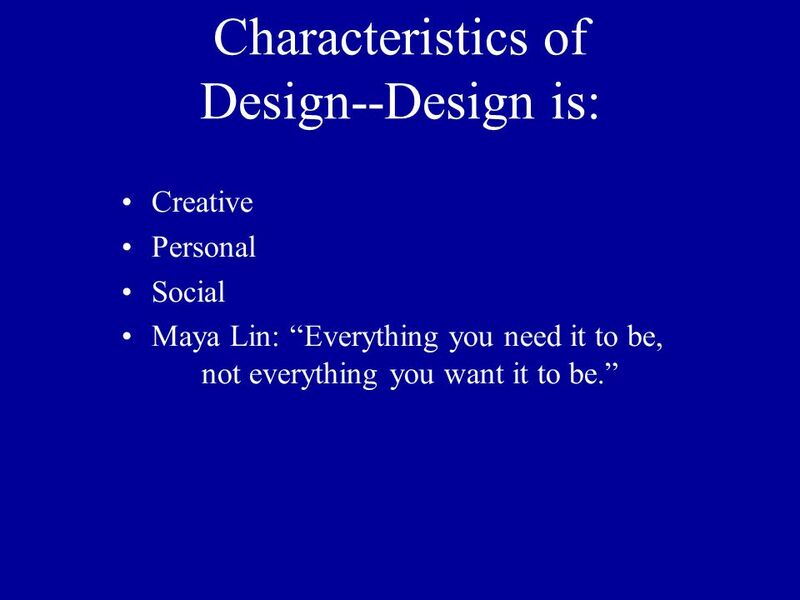 User Sensitive Inclusive Design In search of a new paradigm Prof. Alan F. Newell, MBE, FRSE. & Dr. Peter Gregor Department of. 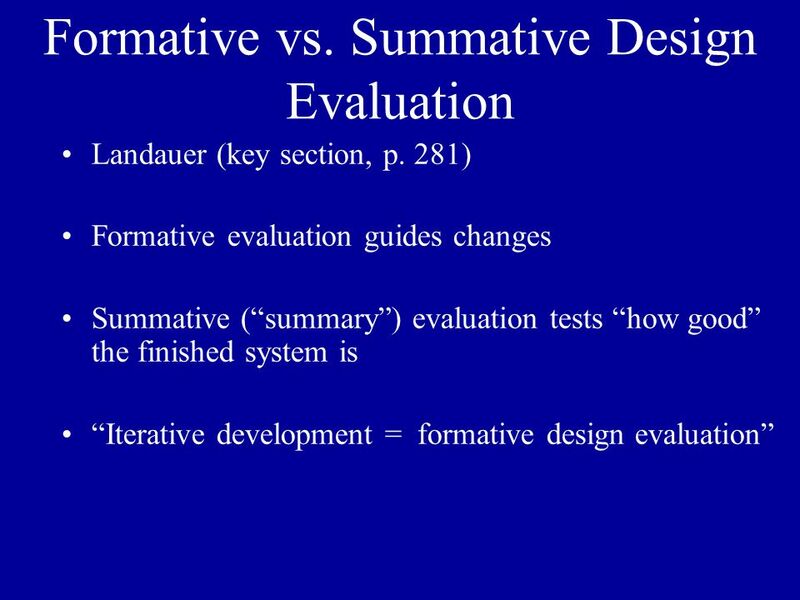 Assessment Literacy Kentucky Core Academic Standards Characteristics of Highly Effective Teaching and Learning Career and College Readiness Podcast 4. 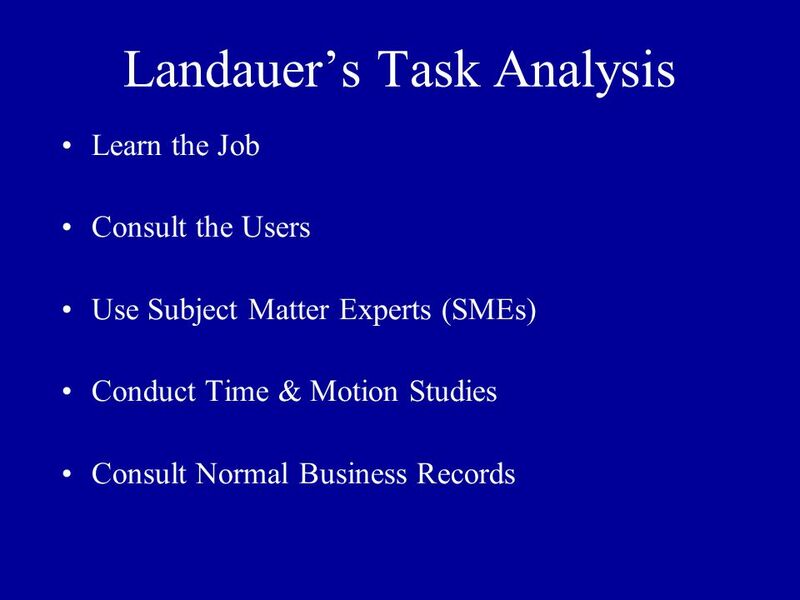 Assessment Literacy Kentucky Core Academic Standards Characteristics of Highly Effective Teaching and Learning Career and College Readiness MODULE 2. J. farrington consulting Instructor Training/Skills Dr. Jeanne Farrington, CPT ICT Immersive Training Workshop January 27, 2010. Program Management School Agile & ADDIE Add-Up (AAAU) Elliott Masies Learning 2012 October 21-24, 2012. Whiteboard Content Sharing Audio Video PollsRecordingMeet Now Skype Integration MS Lync 2013 Tools & Tips for facilitators… Limitations Alternatives One. Workforce Essentials Ms. Baumgartner “Opportunity is missed by most because it is dressed in overalls and looks like work.” – Thomas Edison. Session 7. 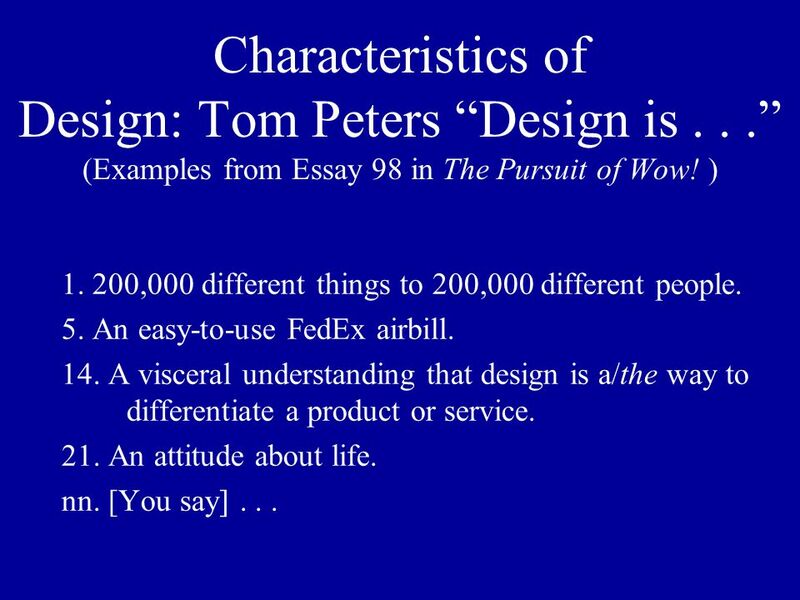  Tomlinson (1995: 9) defines teaching as “an activity designed to promote learning”. 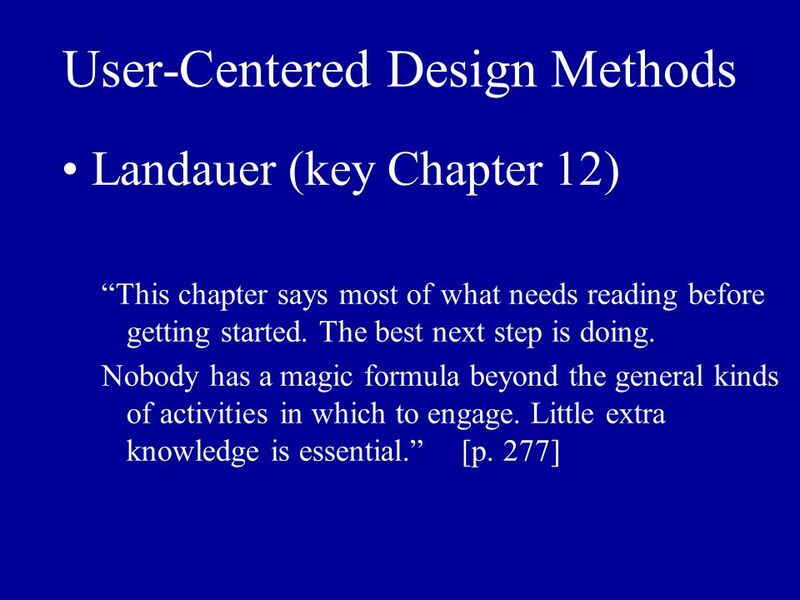  Defining teaching by reference to its purpose.  The. Beijing, October 2006 Metadata development & deployment: What software business practices apply? 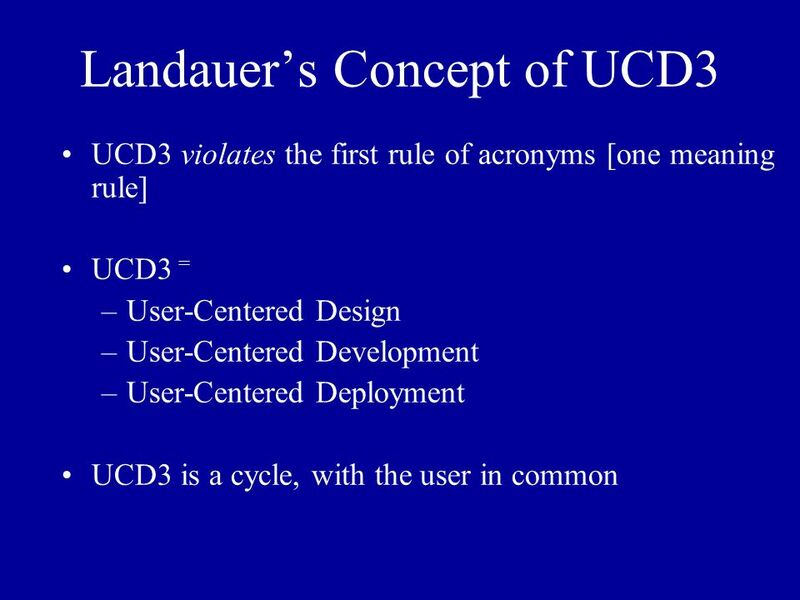 William L. Anderson Praxis101 20th International CODATA. 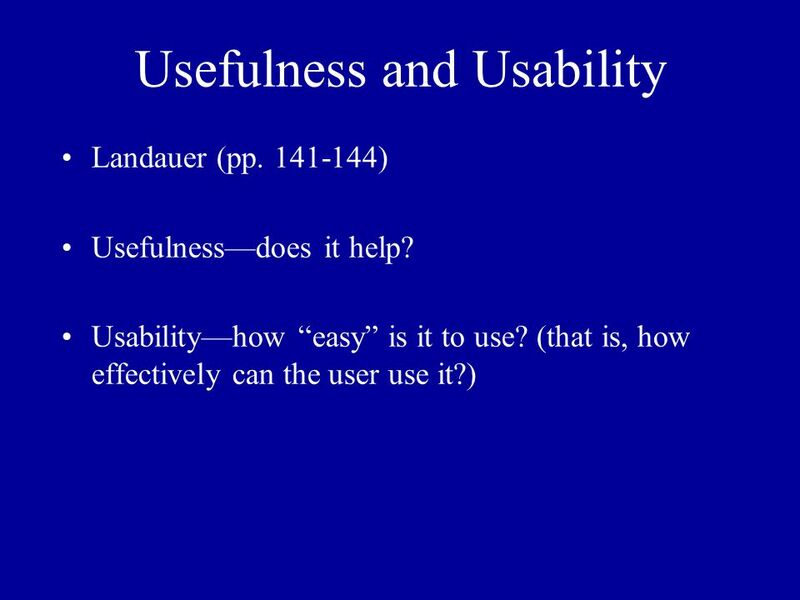 Holistic Usability Measure VUI Design: Philosophy and Practice.